Every week, our team are kept on their toes, whether it be an emergency boiler breakdown or plumbing nightmare. As one of many Gas Safe Registered engineers in the area, we frequently get asked to complete boiler services, installations and repairs. This week, we have completed a real variety of work in and around Milton Keynes. For those of you that may have found this article by chance, we are predominantly based in Milton Keynes but do support the surrounding towns and villages. So let’s get to it. These are the most recent works we have completed. For customer confidentiality reasons, I cannot go into too much detail here. 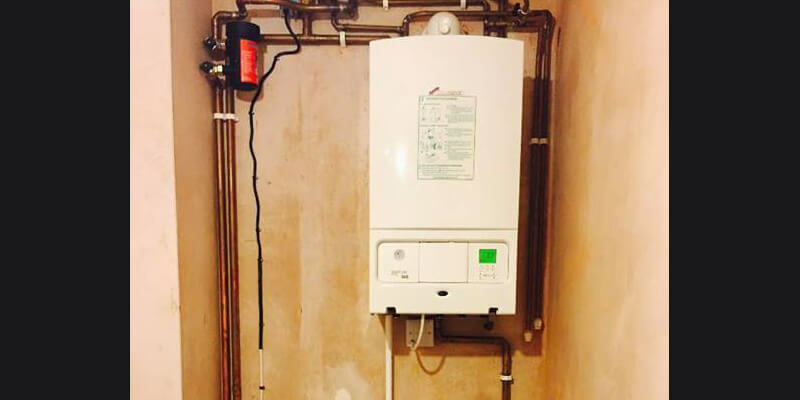 However, we have recently completed a boiler installation in Milton Keynes. Before anything could happen we needed to remove the old system that was tucked away in a void inside the property. As part of the installation, we provided and installed a new Worcester Bosch combination boiler and MagnaClean system filter. The filter acts as magnet and attracts the debris that builds up in the heating system. The magnet attracts the particles and prevents the system from clogging up, causing damages. As part of the install, we also added a new zone for the underfloor heating that was to be laid through-out the kitchen. Unfortunately, for this family, their dream bathroom turned into a bit of a nightmare. The original plumber that they hired to install the system was, and I don’t like to use this term lightly, a bit of a “cowboy”. He, or she installed a badly constructed stud wall behind the bath and shower. 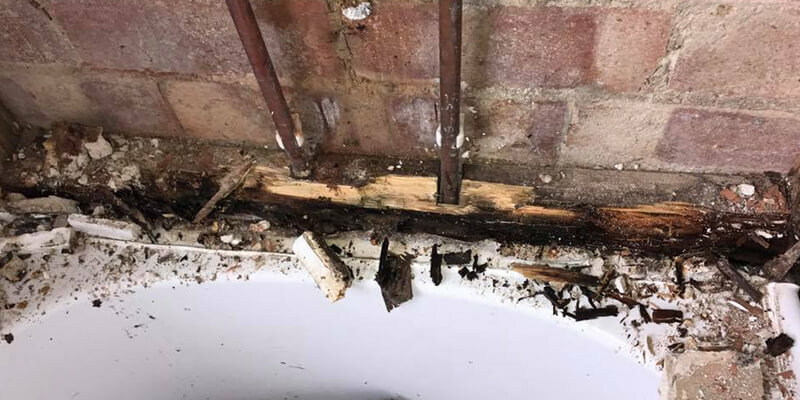 After just a few short months, the stud wall that was fitted became rotten and started to smell of damp, which can become a significant health hazard. Fortunately, we were able to get this removed, strip back the stud wall and install the bathroom suite as nature intended. Unfortunately, we didn’t manage to get any before images, however, we have managed to get this picture of the final installation. 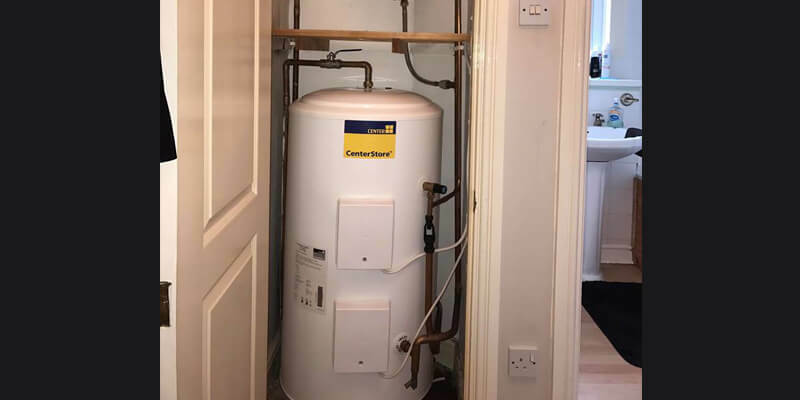 This 150L Unvented cylinder installation was installed to a property in Milton Keynes that only had electricity. After the installation, the customer called us to express their delight at the great increase in water pressure.